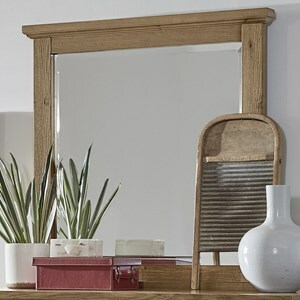 Tall Arched Mirror by Laurel Mercantile Co. 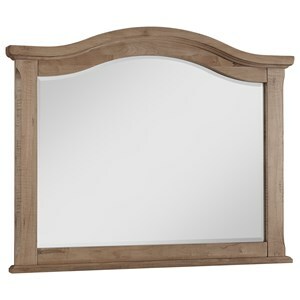 Arched Mirror by Laurel Mercantile Co. 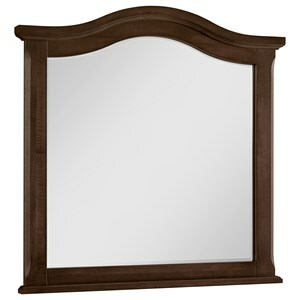 The Water's Edge Transitional Dresser Mirror by Carolina Preserves by Klaussner at Furniture Barn in the Pennsville, Bear, Newark, Hockessin, Middletown, New Castle, Townsend, Talleyville, Wilmington, Marshallton, Smyrna, Elkton, area. Product availability may vary. Contact us for the most current availability on this product. Rich wood grain paired with the simple silhouette gives this collection the warm and welcoming feeling that we all want for our home, while still providing your home with a trendy look. The Water's Edge collection is a great option if you are looking for Transitional furniture in the Pennsville, Bear, Newark, Hockessin, Middletown, New Castle, Townsend, Talleyville, Wilmington, Marshallton, Smyrna, Elkton, area. Browse other items in the Water's Edge collection from Furniture Barn in the Pennsville, Bear, Newark, Hockessin, Middletown, New Castle, Townsend, Talleyville, Wilmington, Marshallton, Smyrna, Elkton, area.